A man whose passion for the Waterloo Boy nearly 100 years ago still inspires his descendants today. For the Althaus brothers of Sublette, Illinois, family has always come first. But a love for collecting vintage farm equipment — especially John Deere tractors and implements is a close second. 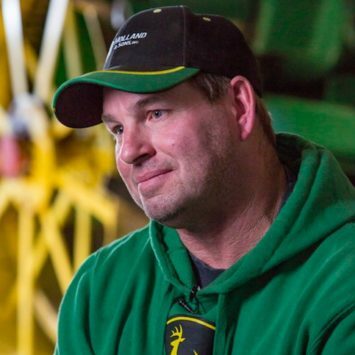 “Sometimes I go to tractor sales and something will jump on my trailer,” Bill Althaus admits. Bob, Bill’s dad, just shakes his head. “He does everything but sell. It seems the Althaus family never throws anything away,” he says. 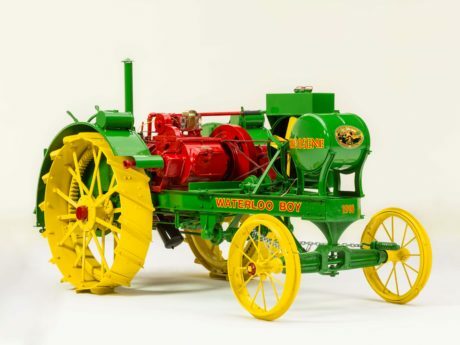 Inspired by Everett, the Althaus family today owns some 60 vintage John Deere tractors and implements, but their prized possession is a 1918 Waterloo Boy tractor that rolled off the assembly line just one week before Deere & Company acquired the Waterloo Gasoline Engine Company on March 14, 1918. It was Everett’s favorite piece, but it wasn’t his first Waterloo Boy. 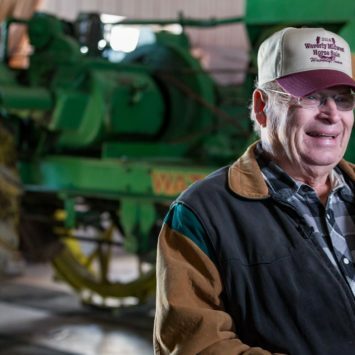 Brothers Bill and Steve are the sixth generation of Althaus farmers in Illinois, a lineage begun by their great-great-great grandfather Peter Althaus, who immigrated from Germany in 1857. Everett was their grandfather’s brother. 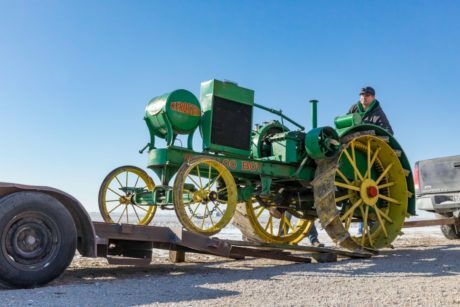 Commemorating John Deere's 100th anniversary of entering the tractor market, the Althaus family of Sublette, Illinois, restored a 1918 Waterloo Boy tractor and talks about the great uncle who inspired them all. Years later, during World War II, and over Everett’s objections, the family drove the Waterloo Boy to the junk yard as part of a scrap metal drive to support the war effort. “Everett didn’t want to see it go, but he got overruled by his father and brothers. He was bound and determined to own another one someday,” said Steve Althaus. That day finally came in 1982, when Everett purchased the 1918 model. 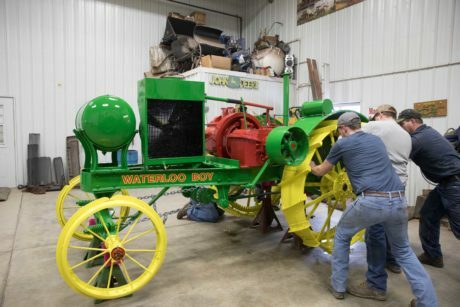 After restoring the Waterloo Boy for the first time in 1983, the Althaus family enjoyed showing it off at various tractor shows, reunions, and parades, even though they later learned the engine should have been painted red, not green. “It was always my intention when it turned 100 to restore it properly,” said Steve Althaus. 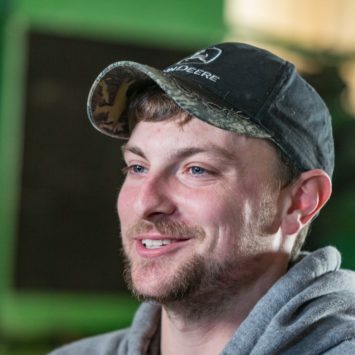 When Alex Leffelman married into the Althaus family four years ago, he’d already proven himself as a skilled restorer. “I like to see something go from old to new, or as they say around here, ‘going from having its work shoes on, to all nice and pretty,’” he said. 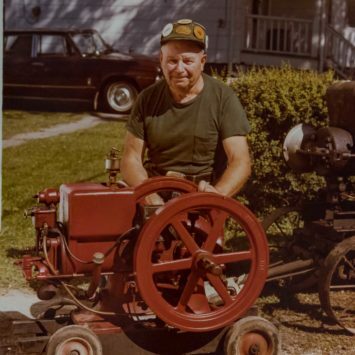 Leffelman’s first restoration project was his grandfather’s Farmall H in 2012. 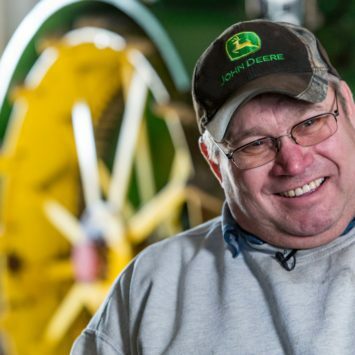 He’s since lost track of the number of tractors he’s restored, but estimates it’s 30 to 40. 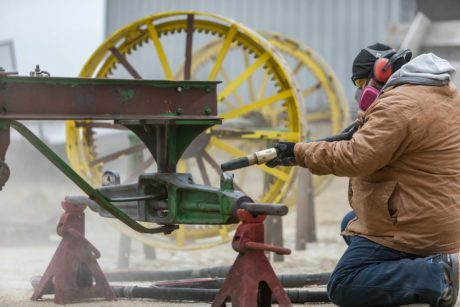 “The equipment comes in here looking pretty bad, but then you see the owner’s face after we’re done and it’s pretty cool — that’s my favorite part of it all,” he said. The Waterloo Boy’s restoration presented special challenges, including square-headed nuts and bolts. 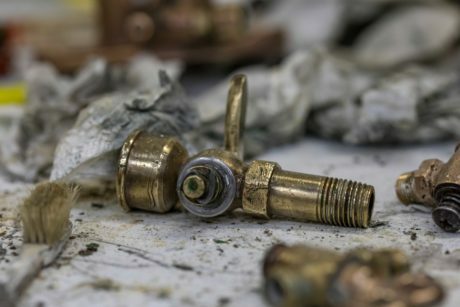 “I was worried they could break after all these years when we started taking everything apart, but after soaking them in some John Deere multipurpose lubricant and heating them with a torch, they came out good,” Leffelman said. After de-greasing and a thorough pressure wash, the two men started dismantling the tractor piece by piece. That included meticulous cleaning of the brass carburetor components before polishing and spraying them with a polyurethane clear coat. Sandblasting came next, then priming and painting. 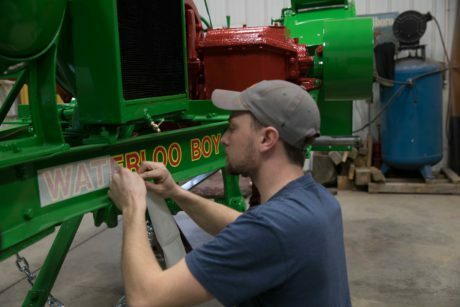 In all, the Waterloo Boy’s centennial birthday makeover took about a month. And what would Great Uncle Everett, who died in 2002, have to say about his beloved tractor’s facelift? 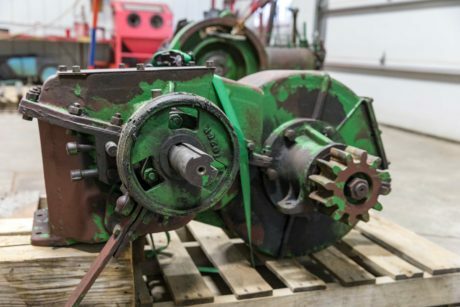 Watch a behind-the-scenes look at the Althaus family, as they restore their 1918 Waterloo Boy tractor, a private project completed at the Althaus farm in Sublette, Illinois. This time lapse video shows the process, including before and after shots. 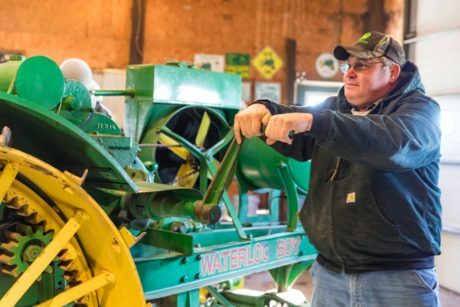 If you enjoyed reading about the Althaus family's restoration of their Waterloo Boy tractor you might also like reading one of the stories below.